2 years ago, I sat myself down and said: one more year. One more year of blogging and then you can reevaluate if it’s something you want to do anymore. Just one more year. As you can see, I’m still here. Still writing. Still making YouTube videos. Still tweeting (possibly still tweeting too much). You couldn’t get rid of me that easily. Today marks my 6 YEAR blogging anniversary. 6 years!! That’s a third of my life spent inhabiting this tiny corner of the blogosphere. 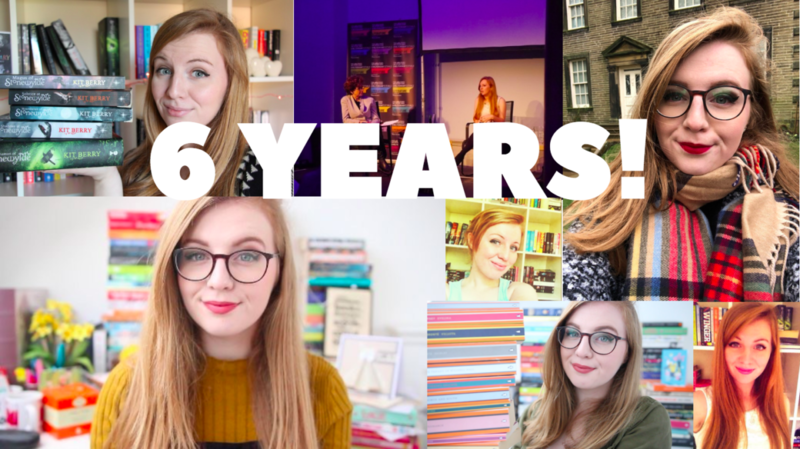 It’s been an incredible 6 years: I’ve grown from a shy twelve year old into a quietly confident eighteen year old; I’ve met like-minded people who share my passion for books; I’ve spoken in rooms full of hundreds of people; I’ve achieved dreams I didn’t even know I had. And all of it is documented here. The past two years, in particular, have been a whirlwind. For one, I WROTE A BOOK! I’ve wanted to be a Proper Writer™ ever since I was nine, but I guess I thought it was something I’d do when I was thirty or forty years old, not 17. It’s been one of the most rewarding, if sometimes stressful, things I’ve done, and I’m so glad I decided to write it during my GCSEs and not, y’know, actually revise (okay, maybe that’s a little bit sarcastic). I also became the Brontë Society’s Young Ambassador this year — eek! I adore the Brontës with all my heart and so to be involved with Emily’s bicentenary year is the greatest honour. Earlier in the year, I went up to Haworth where I got to meet the amazing team who work behind the scenes at the Brontë Parsonage, talk about the Brontës more than is humanly possible, and I even met the Duchess of Cornwall. I’m so excited for everything the rest of the year holds and I especially can’t wait to visit Haworth again this summer. 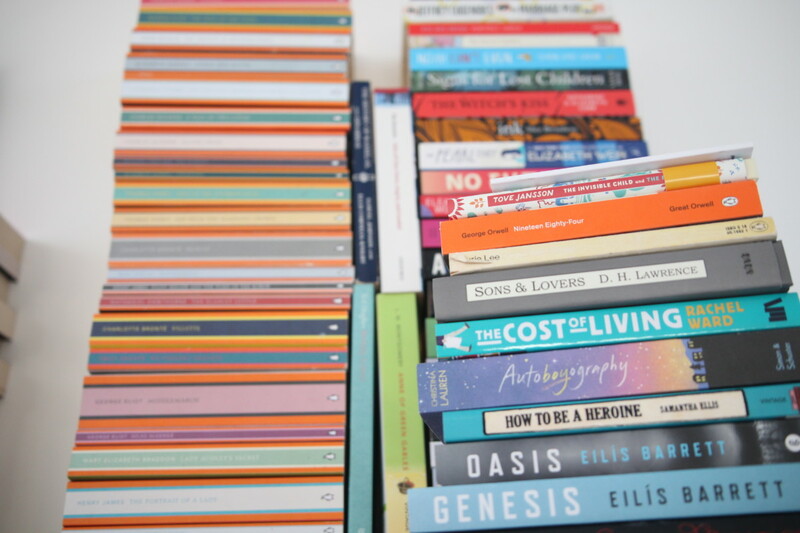 I’ve read so many amazing books. 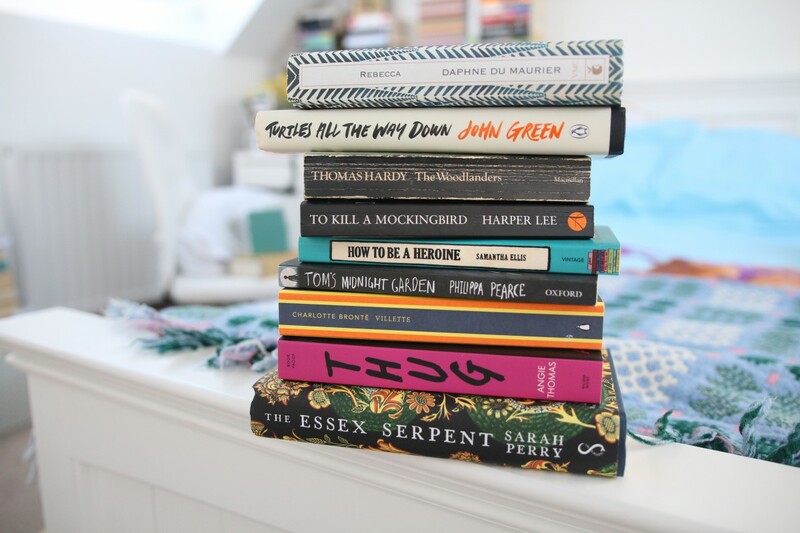 My tastes have changed A LOT in the past few years: whereas I used to read 95% YA, I’ve become less rigid with that and have discovered a love for classics (particularly the Brontës, Thomas Hardy and Jane Austen, among others). Classics combine my love for history and my love of beautiful language, so they’re perfect. I’d be here all day — and this would be a very long blog post — if I thanked everyone individually, so do excuse the general thank you’s. THANK YOU for supporting me, whether you’ve been here from day one or have only recently discovered my blog. Your comments, likes, tweets and messages always put a smile on my face, and it’s so lovely to be a part of such a welcoming community. THANK YOU to all the authors who continue to write amazing books, write fantastic guest posts and are truly wonderful human beings. 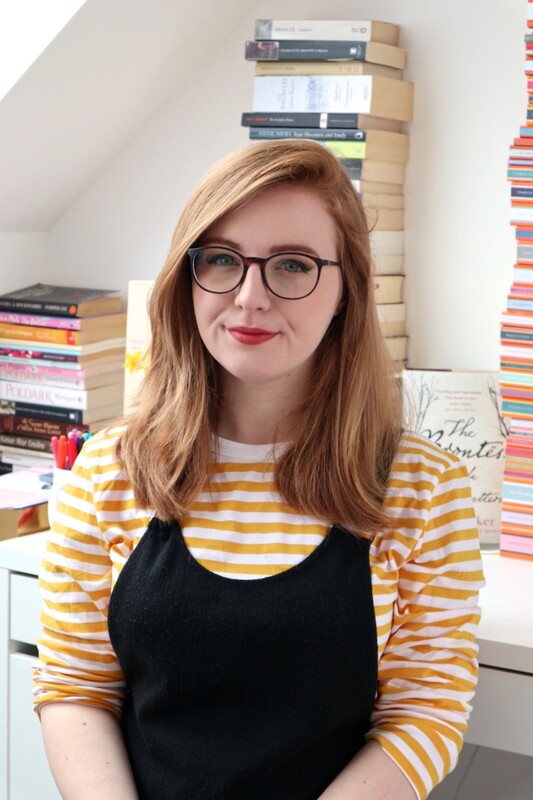 Working with REAL LIFE AUTHORS is possibly the best part of the job — it’s something I never thought I’d get to do when I first started my blog! THANK YOU to the publishers — the publicists, marketing folk and editors — who never fail to get me excited about their upcoming titles, who send me squeal-worthy emails, but who also make my job deciding what to read next very difficult. Here’s to the next year of Queen of Contemporary! Who knows what will have happened by this time next year?! I am very excited to find out! Congratulations on 6 years! That’s incredible – I love your blog so much!! New to your blog. Congrats on 6 years. I’m enjoying going backwards through your blog and YouTube channel. What accomplishments you’ve had. All the best in the coming year. You’ve achieved so much, congratulations and well done Lucy! Well done! I love this blog (even though I’m comparatively new to it) and you’ve really inspired me to try harder at my own blogging! I’m really glad you decided to keep doing this, I love seeing each new post, and I look forward to seeing more!! Congratulations! I’ve just stumbled across your blog and will certainly keep coming back.